The calm before the storm – My thoughts on a page. Today if you were to see me, sprawled on the couch, feet up, laptop where it was built to be… on my lap, you might be tempted to think, ‘lazy cow’. However I assure you I am in fact in training. As I sit here in glorious silence I am mentally preparing for the madness and mayhem coming my way tomorrow. Tomorrow I and my fellow coaches are taking fifty young swimmers to a novice gala. The key word in that last sentence is not ‘fifty’ or ‘young’, which would be a tad stressing in themselves, no the key word is, ‘novice’. 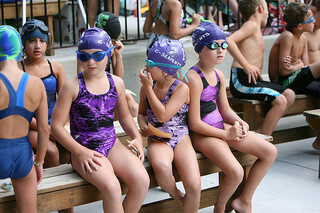 Fifty young swimmers who have little or no swimming competition experience at all. ‘When will I be swimming?’. This is just a small selection of the questions, often asked by more than one young swimmer at the same time. Most of these swimmers will be standing at the ready, goggles on, even though they may be over an hour away from competing. 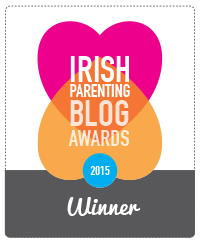 There will be nerves, upset tummies, tears, smiles, high fives and chaos and that’s only the parents. Oh dear after imagining that madness I need to lie down again! Why I light a candle. I have to tell you this made me giggle, especially about the parents. It should be fun, if a little tiring. Ha ha ha. 50 of them? Rest up! It’ll definitely be a marathon not a sprint. Looking forward to it though. I love that you do this! My 14 year old niece has been in swim competitions for several years now and it has been SO wonderful for her development in so many ways and has helped build her confidence. What a great thing you do! It’s really great for young kids alright Lucia. It’s easy to do something you love. I’m very lucky. It will be fun – all that enthusiasm! Yes despite the mayhem we’ll have to try to harness that, and enjoy it. Oh, it sounds like soooooooo much fun! Ha, ha. Sounds like your current training is definitely required! Good luck! I trust you survived the marathon. 🙂 If only kids would listen the first time both our jobs would be easier.